Who Needs a Daily List of the World’s Richest Billionaires? Have you ever woken up in the morning wishing it was that magical time of the year when Forbes ranks the world’s billionaires by their net worth in a massive slideshow? 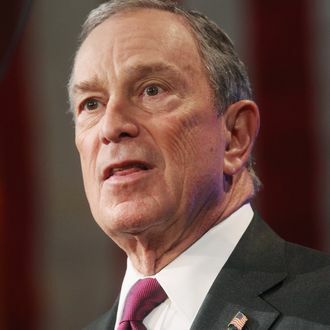 Now you’ll never have to wait again to stare at those near-meaningless, mind-boggling numbers, because Bloomberg has decided to do it every day with their new Bloomberg Billionaires Index, which not only includes net worth, but has a column for daily fluctuations. And yet it’s not exactly fantasy basketball: The top four spots in the Bloomberg ranking are exactly the same as last year’s Forbes list, a new version of which just happens to be due this week. The Billionaires Index, like the 2011 Forbes list, is led by Carlos Slim Helu, the Mexican magnate and New York Times investor whose worth is estimated at $68.5 billion, followed by Bill Gates and Warren Buffett. Newt Gingrich’s patron saint Sheldon Adelson, the casino owner, is listed at No. 13, with a worth of $25.7 billion. Rounding out the top ten are both Koch brothers in separate spots, and Brazil’s Eike Batista, who has vowed to become the world’s richest man by 2015. He tells Bloomberg, “I’m competitive.” So maybe he is the intended audience for these daily rankings. Over half of the list is in red for the day, with Slim maintaining the top spot despite losing nearly $500 million. In one day. The accompanying article notes the absence of Facebook’s Mark Zuckerberg, whose “stake may be worth $21 billion, or about 25 percent less than previous estimates, once Facebook holds its initial public offering.” Curiously, there’s no explanation for the absence of another notable billionaire, our fine city’s mayor and the owner of the company presiding over these proceedings, Michael Bloomberg. Last year he was No. 30, according to Forbes.